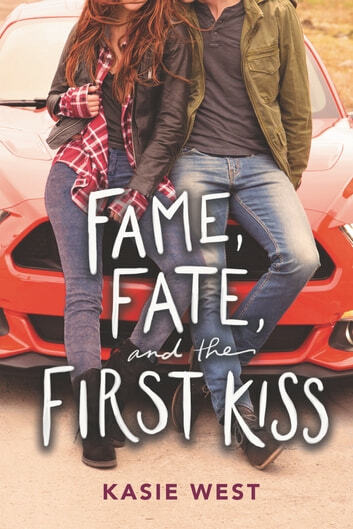 Fame, Fate, and the First Kiss is a companion novel to Love, Life, and the List, but can easily be read as a standalone. Fame, Fate, and the First Kiss is a cute little YA Contemporary Romance story which Kasie West seems to do so well. It is just a nice, light read. The perfect book to read when you are in the mood for something easy to get right into and just soar right through. The story is obviously a romance, but it has a bit of mystery mixed in. Someone is messing with Lacey on set and we don’t find out who until the end of the book. There are many suspects and they are weeded out until the final one is discovered. This was an interesting aspect to add, as it just added a little something more to the cute little story. It makes you question EVERYONE. I was able to fully invest myself in Lacey and Donavan’s romantic relationship. I thought they were super cute together! The characters were quite immature, but I mean they are teenagers. What I mean is sometimes you get YA books with more mature characters, which I prefer. That’s just a tiny complaint, though. I’m sure it won’t bother most people! Just some of the things they did really reminded me that I was reading about kids. This book is another nice little read from Kasie West. I’m looking forward to reading more!